A recent study conducted by www.capturereviews.com shows thatRoma Catering past customers love their products, thier overall shopping experience, and the ordering process. The overall customer satisfaction survey was centered around core questions regarding customer service, product quality, and the possibility of future purchases. 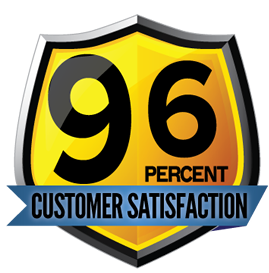 Outlined below are the results of this survey to include an A+ Customer Service rating of 96%. When polled about future purchasing decisions, 96% of our past clients said they would use our catering services again in the future. When polled about sharing the overall experience with friends and family, 96% of our past clients said they would refer Roma Catering to their friends and family. Food is always good, fresh, adequate portioned and reasonably priced. I love that there is a variety to pick from. Very good food, staff is always smiling and good natured. Excellent,always great food. Love the smell when you walk in. Great food and great people! I feel like I'm at home. Always great food..., generous portions! Always great food..., generous portions! Offer the half chicken with broccoli more than once a month. It is delicious! We love all the food and purchase it every Holiday season & year round. The food is delicious and so is the freezer dept. Prices are great & variety is awesome. I am handicapped, Â I really appreciate that they brought my food out to my car.